This project was quick, and easy to create. 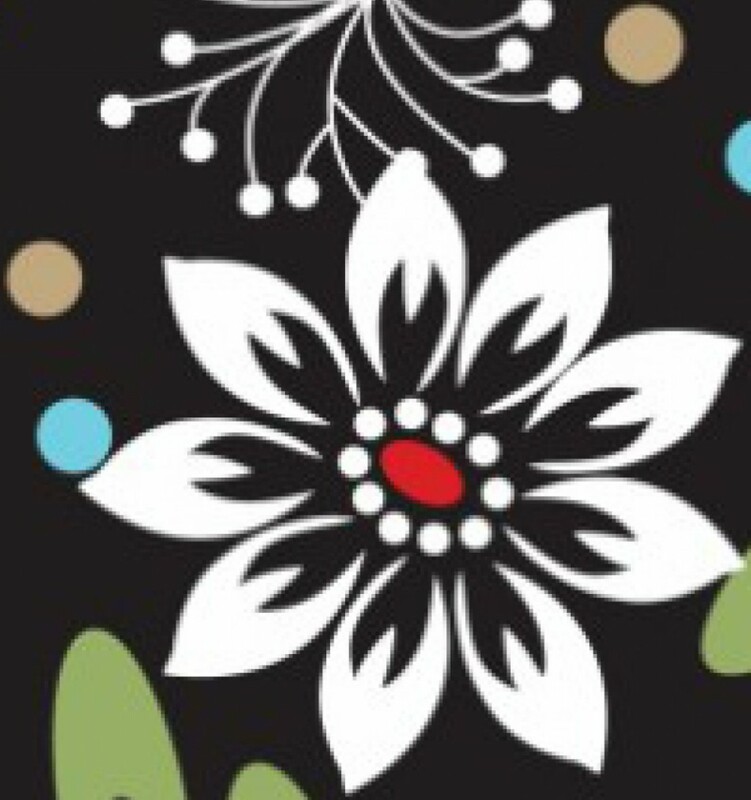 If you have never ventured into the wonderful world of Mod Podge before, this is a great starter project for you! 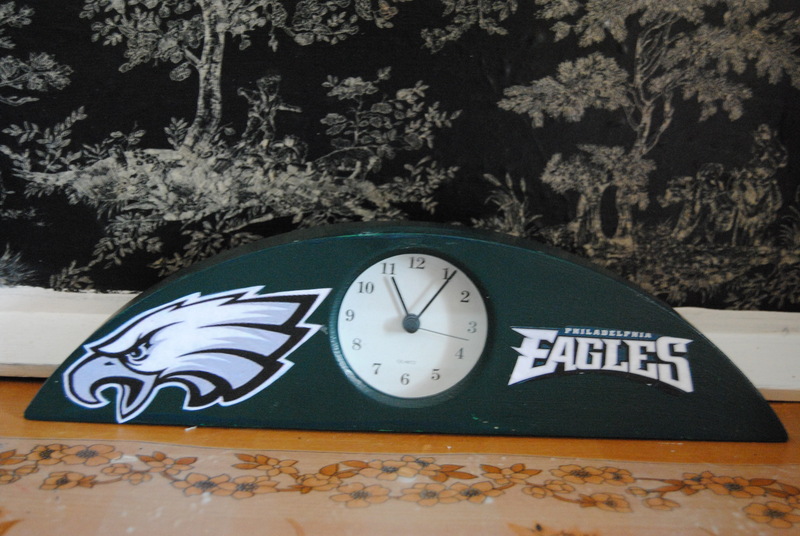 A sports desk clock is also a great gift for the special man in your life or a female sports fan such as myself. 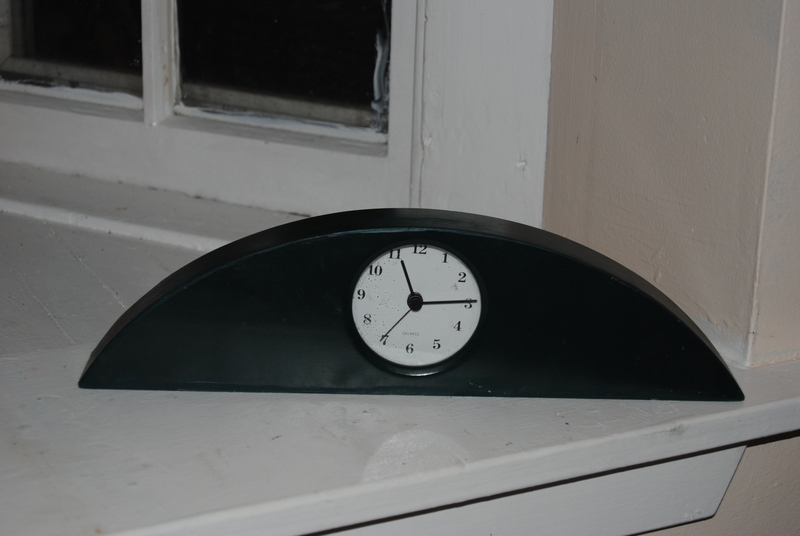 When I stumbled upon this cute little clock made from Ikea, at a Good Will store, I had no clue what if anything I was going to do with it. The price was certainly encouraging! On this day items adorned with a yellow ticket were 50% off ! This cute little item cost just 1 dollar! 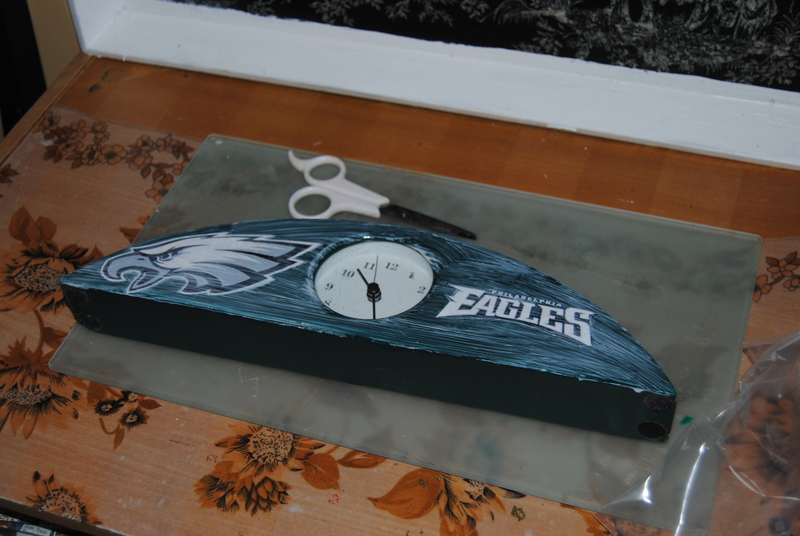 My husband suggested that since the clock was Eagles Green, it would make a great Philadelphia Eagles Football clock. I thought this was a great idea, in honor of the new football season, and our fantasy football team who opened week one with a win thanks to McCoy and Jackson. I found some sports images online and printed them. These would be great for decoupage and looked as though they would fit well on the surface, The clock was a bit of an odd shape after all. This took less than a half hour to make and came out wonderfully! Now are you ready for some football? Well at least you’ll know when the game is starting! Love the clock! 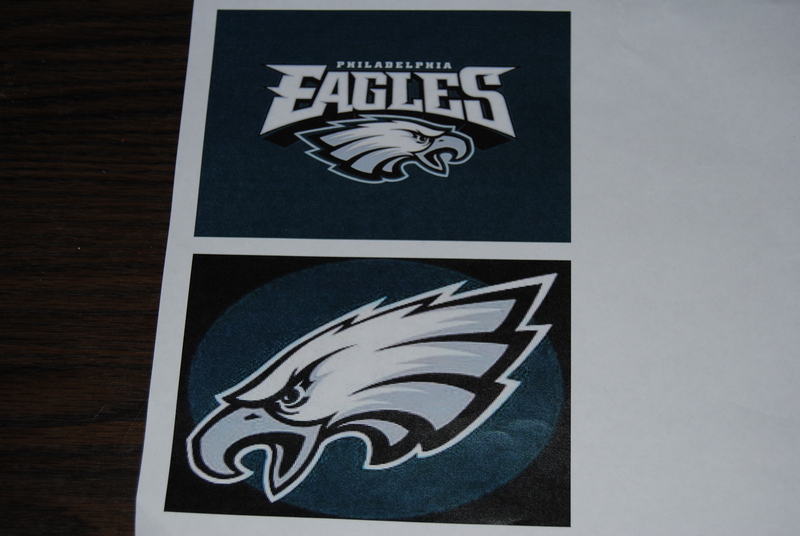 And I can’t wait to see what the Eagles have up their sleeves tomorrow! You’re so very welcome! 🙂 enjoy your prize!